Many of the families I’ve worked with wanted to give to charity, but also wanted to be able to take care of loved ones. You’ll be happy to know that you can do both. 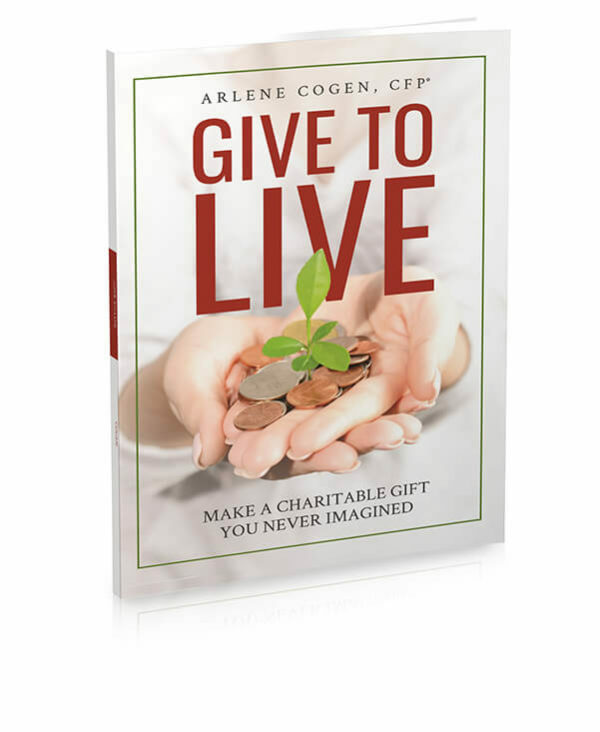 Give to Live: Make a Charitable Gift You Never Imagined by Arlene Cogen. This seemed like an appropriate book for Thanksgiving week. Arlene's new guide to philanthropy provides easy, straightforward, thorough information about charitable giving for individuals and the professionals who guide them.